Turneffe Atoll Trust was founded in 2002 as a non-profit 501 (c)(3) organization operating in Belize and the United States. Our Mission of Turneffe Atoll Trust is to drive conservation efforts at Turneffe Atoll leading to sustainable environmental, social and economic benefits for Turneffe and Belize and serving as a model for similar coastal marine environments throughout the world. On December 18, 2018, TAT held a press conference to present several reports related to the economic value of Turneffe Atoll's environmental assets and how these assets are being risked through destructive and unsustainable development which have damaged or destroy Turneffe's coral reef, backreef flats, sea grasses and mangroves - the very habitats that produce this economic value. Risking the Atoll is a detailed report by Dr. Valentino Shal discussing several unsustainable developments at Turneffe Atoll and offering an economic feasibility analysis of a four story 96 room hotel under construction on the atoll for the past 14 years. This project includes a large area of dredged backreef flat, coral reef damage and extensive mangrove deforestation - these being the very habitats that create Turneffe's exceptional economic value. The Press Conference was very well attended and we thank all media outlets for their excellent coverage of this story. Turneffe Atoll Trust's hope is that better awareness of these matters will prevent future damaging projects and protect the nearly $600,000,000 dollars of economic value that Turneffe Atoll's environmental assets provide for Belize. Turneffe Atoll Trust has recently completed several key analyses (below) related to the economic value of Turneffe's environmental assets. Dr. Fedler uses the Net Present Value approach in determining that Turneffe Atoll provides US $191 million dollars annually in storm damage mitigation for Central Belize and particularly Belize City. Dr. Fedler assesses the Blue Carbon Value of Turneffe Atoll. Dr. Julio Benavides discusses the current Climate Change effects, likely future effects and mitigation strategies for Turneffe Atoll. Our intent is to leverage this information through education for the protection of these essential environmental assets. A comprehensive analysis of the Turneffe Atoll Conch Population has been completed by Executive Director, Alex Anderson, Dr. Alexander Zale and Dr. Robert Bramblet which indicates alarming trends for the Queen Conch fishery at Turneffe. This is believed to be one of the most comprehensive conch fishery analyses done in the Caribbean. Turneffe Atoll Trust is a leading member of the Coalition for Sustainable Fisheries in Belize which is guiding efforts to institute a gillnet ban throughout Belizean waters. This much-needed and long-overdue effort moving ahead with a Coalition supporting the effort now including the Belize Federation of Fishers, the Belize Tourism and Industry Association, the Belize Game Fish Association, the National Sport Fishers, Association, Oceana, Turneffe Atoll Trust, MAR Alliance, Yellow Dog Conservation, Bonefish Tarpon Trust, Belize Audubon, World Wildlife Fund and all Belizean sport fishing lodges. Major successes over the past decade include leading efforts to pass landmark legislation in 2009 designating bonefish, permit and tarpon throughout Belize as CATCH AND RELEASE only species. A critical strategy in achieving this was the economic study funded by Turneffe Atoll Trust entitled, “The Economic Impact of Recreational Fishing for Bonefish, Permit and Tarpon in Belize for 2007". This study found that these three game fish generate approximately US$60,000 per year for Belize and these economic benefits are now assured as long as their habitat remains intact. This “catch and release” legislation was a vital step toward sustainability and offers significant long-term economic and social advantages for Belize. In 2012, the TURNEFFE ATOLL MARINE RESERVE was declared as the largest marine reserve in Belize. Through a grant from the Oak Foundation, Turneffe Atoll Trust funded and led this effort which encompasses the entire 325,000 acre Turneffe Atoll. As a key step to ensure the sustainability of Turneffe's commercial fishery, Turneffe Atoll Trust funded a comprehensive baseline analysis of the atoll's Queen conch (Stombus Gigas) population. This five-year analysis is thought to be the most comprehensive analysis of a conch population done to date and it will serve as a much-needed baseline for evaluating management interventions for this fishery going forward. We are hopeful that a similar analysis can be done for Turneffe's spiny lobster fishery in the near future. As part of our Conservation Oversight Program, in late 2015 we addressed a destructive development approved in the Northern Bogue area of Turneffe which is in direct opposition to the guidelines of the Turneffe Atoll Marine Reserve and the laws of Belize. Before it could be stopped, developers deforested five acres of mangroves and then dredged a swampy area in the middle of the property to fill this low-lying land with mud. Turneffe Atoll Trust filed a lawsuit naming the developers as well as the Department of Environment, the Fisheries Department and the Department of Environment arguing that several laws and policies of the Marine Reserve had been violated. As a result of TAT's efforts, this development was stopped in February, 2016. The lawsuit was settled in our favor in 2017 and any further development just comply with Belizean Environmental law. 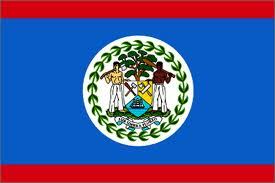 We feel that this has helped in establishing improved compliance with Belizean environmental laws. In 2015, we developed the Turneffe Atoll Developer's Guide which is a comprehensive summary of environmental regulations and laws, as well as pertinent Master Plans and Marine Reserve Management Plans, related to development at Turneffe Atoll. This manual has been distributed to all pertinent governmental agencies in Belize and is available to anyone interested in development at Turneffe. To obtain a copy, please contact Alex Anderson at alex@tflats.com. TAT has purchased an option for the Oceanic Society property at the Southern end of Blackbird Caye. This is an important parcel of land which we hope to keep from being improperly developed. This is the initial action of our land trust program and we hope to ensure that this property is used in a sustainable manner. We feel that the best use for the property would be to have it become a world-class Center for Ecological Restoration and Stewardship that would focus on understanding and maintaining ecosystem services to assure that habitats are protected to support the sustainable uses of Turneffe. This would presumably involve building a coalition of universities. The Fishermen's Eco-tourism Alliance (F.E.T.A.) was established in 2015. This new organization joins the symbiotic abilities of Turneffe's commercial fishermen with Turneffe's eco-tourism sector to jointly advocate for habitat protection at Turneffe. The commercial fishing community and eco-tourism both require a healthy marine environment for their livelihood and benefit from preventing habitat destruction. We are optimistic about the potential of this organization to partner with TAT in the protection of Turneffe.